Remember those Back to the Future shoes we all freaked out over in 2011? 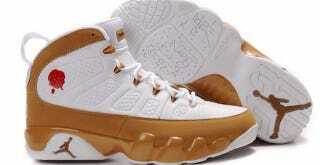 They're but one instance of rare collectible sneakers, which have grown into a 400 million dollar economy on Ebay. Who knew? Today, the numbers point to a growing, and increasingly globe-spanning, population of eBay-enabled sneaker collectors. Their spending on sneakers purchased over eBay has grown by double-digit percentages each year since 2010. Last year about 6.3 million pairs of sneakers were sold on the site. Of those, 1.2 million were priced at $200 or more, pushing total sales of those pricier models past the $400 million mark, and making them one of eBay's top 10 fashion categories, according to Marcelle Parrish, eBay's head of fashion. In 2013, Nike Air Jordans accounted for $1 in every $3 spent on sneakers on eBay. Of the more than 1,300 sneaker models that sneaker-data site Campless tracks on eBay, eight of the top 10 models in terms of dollar sales between March 2014 and February 2015 were Jordans. All 10 of the top selling sneakers on eBay—including those Air Jordans—were made by Nike.